Dig, dig, dig! 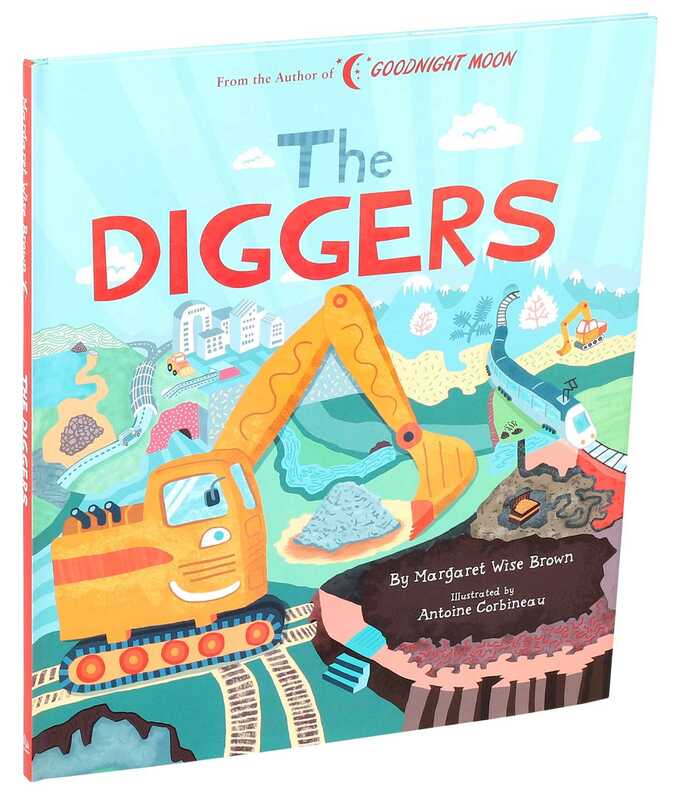 Join the animals and machines as they dig an incredible journey of discovery underground in this imaginative story from best-selling children's author Margaret Wise Brown. This amazing adventure is brought to life by French illustrator Antoine Corbineau, using a patchwork of texture and color in his vibrant illustrations to bring the fun and energetic world of the diggers to life. Antoine Corbineau is a French creative born in 1982. Since graduating from Camberwell College of Arts London and Ecole Superieure des Arts Décoratifs de Strasbourg, he has worked with major brands, newspapers, and advertising agencies worldwide. Using a range of mediums and techniques, Antoine creates beautifully busy patchworks of texture, imagery and creative typography. His work has the rare and powerful gift of both instantly communicating a simple key message or brand, but also effectively sharing a much larger amount of information hidden within the fun and energetic worlds of his illustrations. After living in Strasbourg, London, New York, and Paris, Antoine now lives and works in Nantes.